Re-recorded, re-mastered and carved in to heart-shaped vinyl, Bella Union’s PINS release two of their hardest hitting tracks for a super limited run in celebration of Record Store Day. 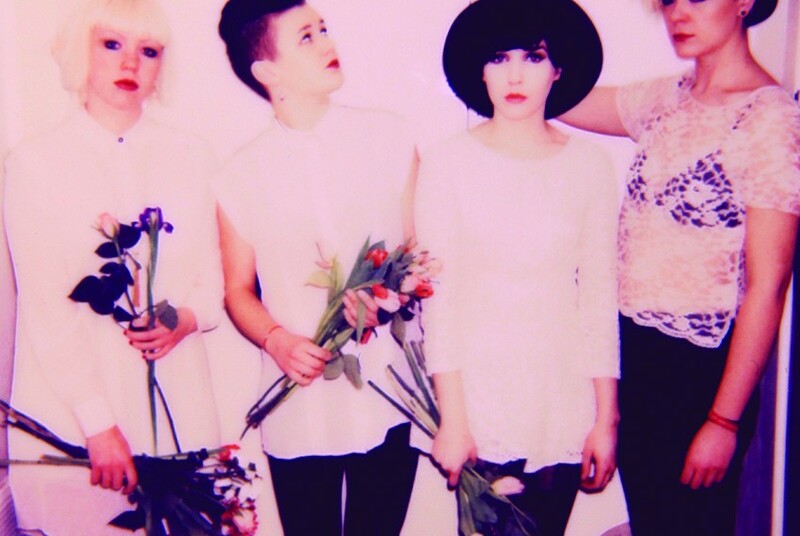 Fiery Manchester four-piece PINS released their debut album ‘Girls Like Us’ to rousing reception last year, and have since toured the UK and the US playing with acts like Warpaint and Money, and taking in festivals such as SXSW. The track ‘Shoot You’ made up one half of their first Double A single, which was released on gold cassette tape (via their own Haus of Pins label no less,) and barely touched the record shelves selling out within 24 hours. Here’s your chance to own a limited edition of it again, this time on vinyl, likely to sell out just as rapid as those gold tapes. Akin to cult 60s novel/70s film The Warriors, PINS are true fighters; a taut rebel unit living out their own manifesto and defending their turf as purveyors of brooding guitar pop. These tracks were recorded and mixed to eight track tape at Eve Studios, Manchester.